All photos taken today Thursday, April 12, 2012. Resampled and resized to VGA; click any to enlarge. Photos appear in the order they were taken. 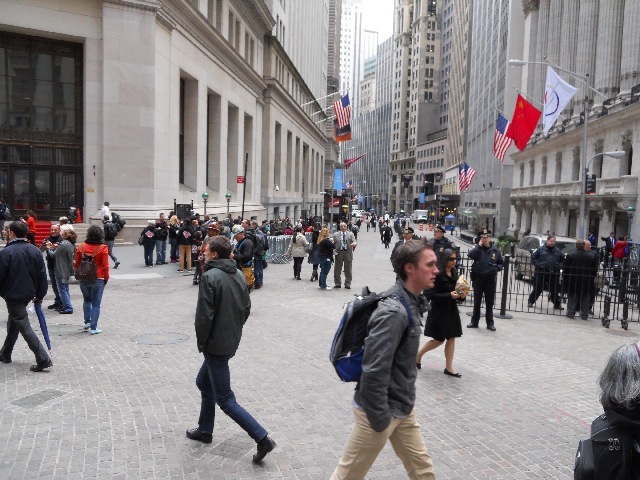 I went into Manhattan today and during my travels decided to check out Wall Street because my Twitterstream had been filled with news of Occupy Wall Street actually sleeping there. 1) The population of iOS devices is a multiple of all eInk devices combined.